You know I’m always trying to help out those who are dealing with car insurance claims after a wreck. With the holidays coming up, it’s really time to get those claims settled and get some money in your pocket. So here’s a quick tip to help you lock in your claim, prove liability, and force the insurance company to pay your claim. At the time of the accident, hopefully you called 9-1-1 and had an officer write a report. Go back and get that report. Read through it to see if the officer issued a traffic citation to the other driver. If so, this can be very helpful to winning your case. If the officer issued a ticket for any offense related to the wreck, you now have a much stronger case against the other driver. The mere fact that ticket was issued will help your civil claim. See if you can follow up and find out the outcome of that ticket. Did the other driver pay it? Or did he hire a lawyer and get it dismissed? Did he plead guilty or no contest? In Oklahoma City you can search traffic tickets online using the driver’s first and last name and date of birth. Other municipalities may have their court records online. 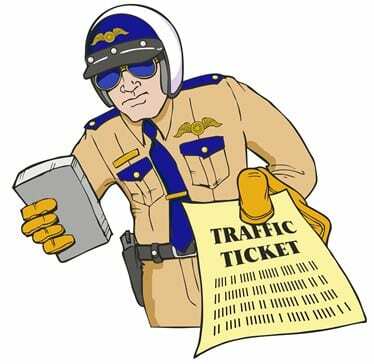 If the ticket was written by highway patrol, then it will go to the county Most of the bigger counties in Oklahoma keep their records online at OSCN.net. The others can be found at ODCR. Go to those sites and search for the traffic case using the driver’s name. If you have to, you can go to the court house and ask to pull the file. Get a copy of the guilty plea or the judgment. A couple of bucks spent on that may be the ticket to getting your case settled. Good luck, and any questions, just call me or send me an email. Really. You can call and ask whatever questions you have. I will try to help you. No pressure whatsoever to hire me; that’s not the purpose of these tips, and it will never even come up. I want to answer your questions or help any way I can. I see too many cases where the insurance company simply refuses to pay because they know the claimant will give up. Don’t give up.